Hello friends, Samm Bennett here, hoping to see you at one or more of these upcoming shows in Tokyo. Come on out! entry 3900 yen - includes open bar and open FOOD! Mechanical Bear features Chris Koh on violin and Masahico Shimaji on electric bass, with yours truly Samm on drums and vocal. This is a special event, a party being thrown by the folks at Hakoniwa, to celebrate their new location in Akasaka. It's an all-you-can-eat (with great food) and all-you-can-drink party, from 5PM till 11PM. Mechanical Bear will play from 8:30. Highly recommended! It's the 2nd show of the new improved, post-hiatus Medicine Bone, at the wonderful Hikari No Uma. Enjoy our patented style of blues-inflected songery in a nostalgic "snack" ambiance complete with crushed-velvet seating and low tables: old-school Japan style! We'll be doing two full sets of music, stretched out and relaxed, with plenty of time in between to hang out and catch up with friends old and new. We URGE you to attend! Get out from South Exit (smaller exit - rear of train if coming from Shinjuku - front of train if coming from Nakano), go right out of the ticket gate and immediately turn right onto the first street there. Walk along raised railway about 10 seconds (tracks on your right). Hikari No Uma ( ひかりのうま ) will be on your left. And please NOTE: This is what the entrance to HIKARI NO UMA looks like! 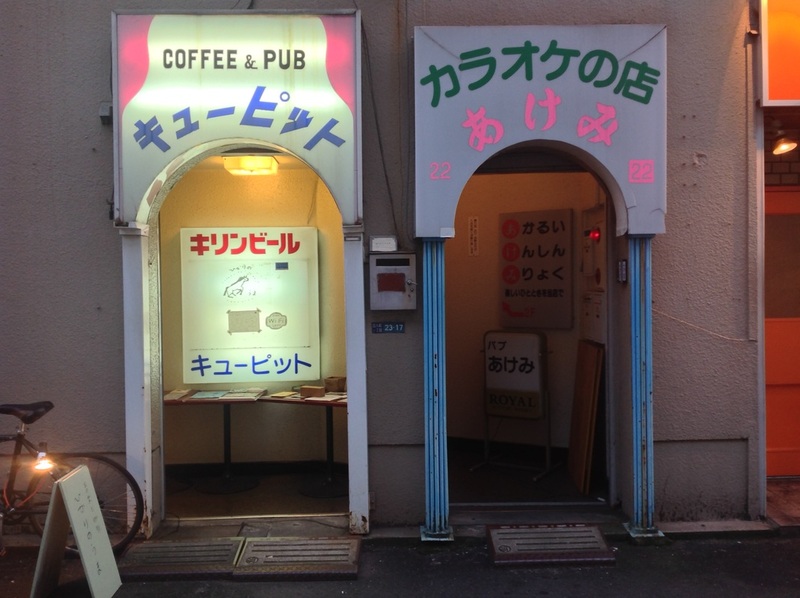 They've left the old "COFFEE & PUB" facade there, with only a small sign in Hiragana with a little drawing of a horse. That's the PLACE! "Bartender's Choice, Special Acoustic Evening"
For my solo set (about 45 to 50 minutes length) I'll be performing songs new and old, accompanying myself on the 3-string guitar and my special new electro-acoustic foot percussion, to give things a bit of an anchor, you know. 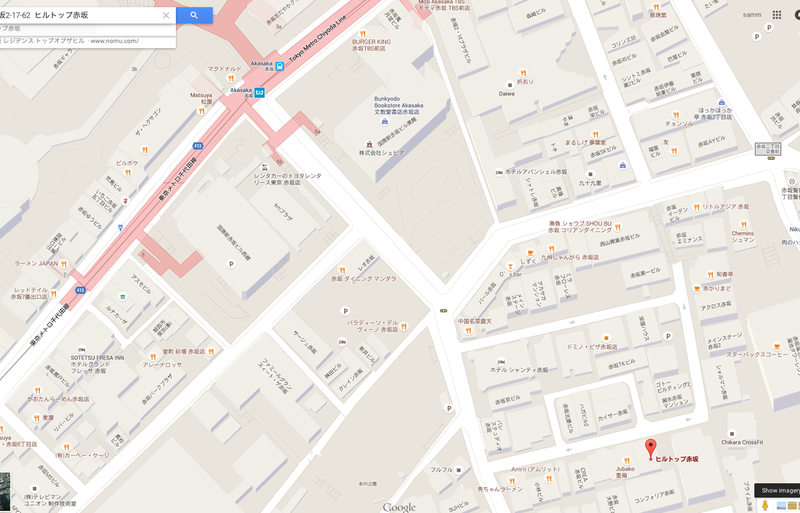 Here's a screenshot of the Google map. 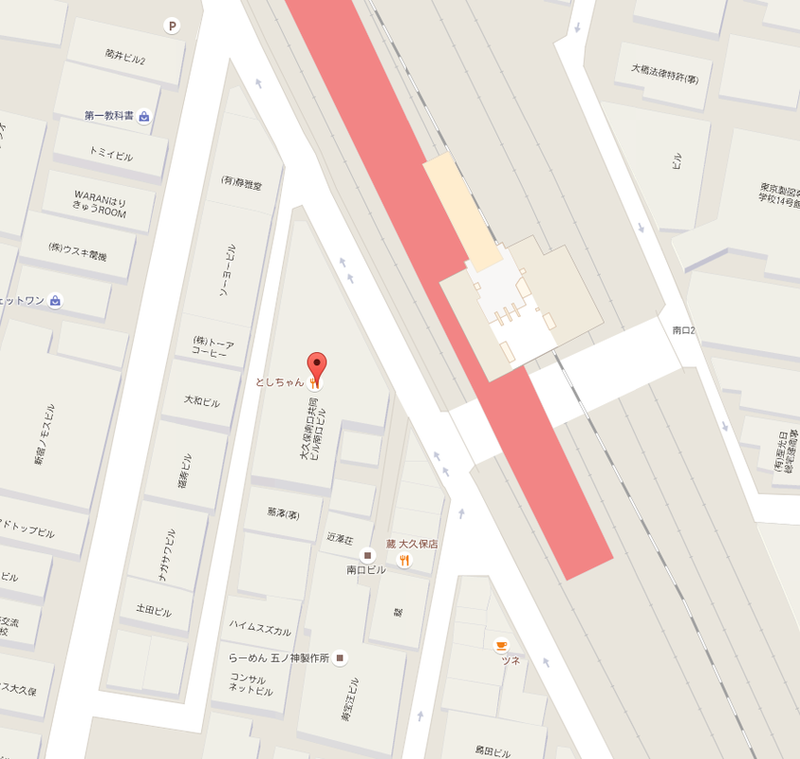 and Akasaka Mitsuke (Ginza and Marunouchi lines) stations. 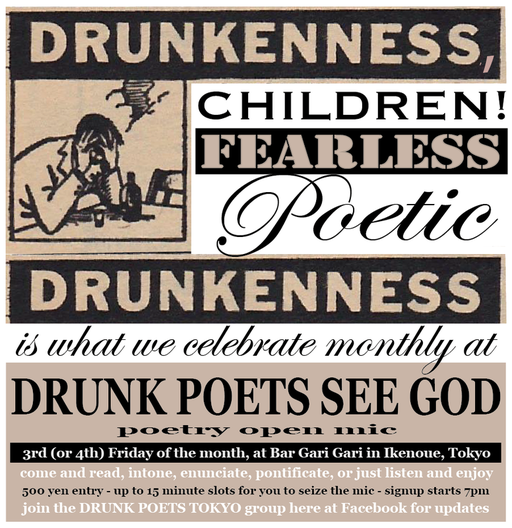 It's the big 32nd installment of DRUNK POETS SEE GOD, where some of Tokyo's most daring and engaging wordsmiths get on the mic and show their stuff. Hosted by by yours truly, Samm Bennett, along with singer and poet Sorcha Chisolm, this is the place to be for those who want to keep abreast of the latest in loquacious lingo! I'll be on hand (as well as other musicians, depending) to provide instantaneous musical backing to any poet who might happen to want it, and all are welcome to read, recite, intone, chant, grumble, shout or otherwise enunciate. Fun stuff, serious stuff, flights of fancy, hilarity, stream of semi-consciousness, heaping helpings of free association and extended elocution. Hooray! Come early (opens at 7pm) to sign up for a slot, if you want to get on the mic and let us hear what you got to say. Otherwise, just come for a drink and a listen! This is the first official outing for the new Bennett-Nambu Duo. We first met a few months ago at an event we were both performing at, and a spontaneous jam during soundcheck immediately convinced us we should work together. Nambu Yuki is a fine pianist who loves New Orleans music as much as I do, so we've worked up a number of tunes from the Dr. John and Professor Longhair songbooks (some of you will have heard me doing those with my full-on New Orleans band King Cake Baby). But we're keen on covering all sorts of music that we love, so we're throwing in tunes by The Band, ye olde Beatles, and many more. The idea with this duo is to just kick back and have some fun with beloved and familiar tunes. We aim to be your favorite bar band, basically. 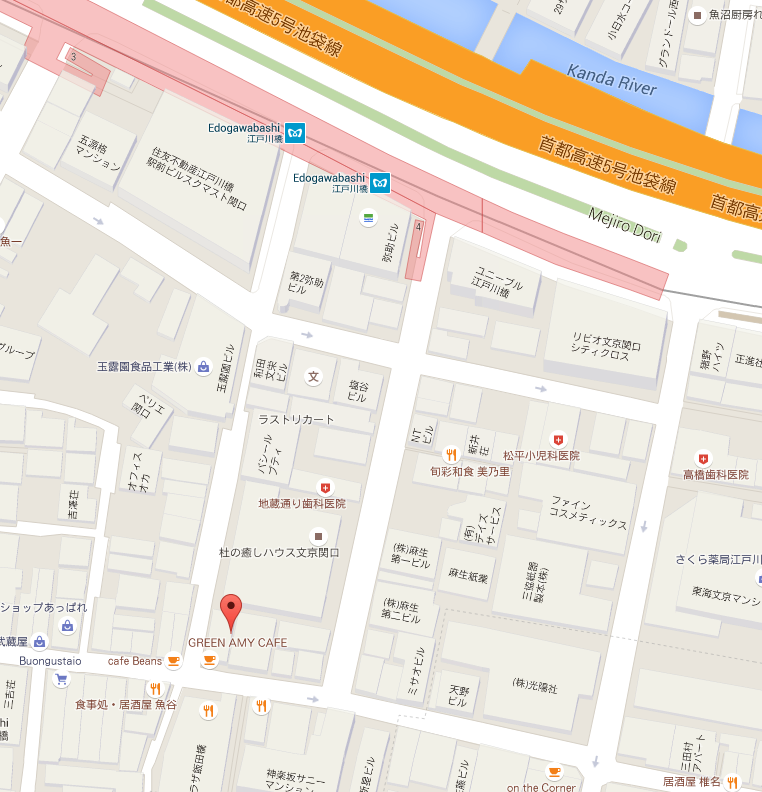 And speaking of bars, the one we'll be doing our thing at is the Green Amy Cafe, a 2-minute walk from exit 4 of Edogawabashi Station on the Yurakucho subway line. They have a full bar, of course, but also a tasty food menu including various curries, fish and chips, etc. etc. Oh, and the spacious place has not one but TWO upright pianos, so if one goes outta tune, Nambu-san can just jump over to the other! Come on out for a night of song!